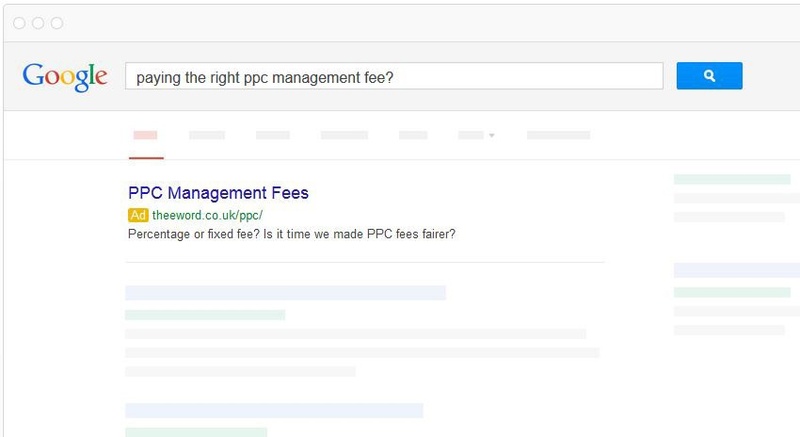 Is it time for a fresh look at PPC management fees? If you outsource the management of your pay per click campaigns to an agency, how do you pay them for it? Chances are, you pay for management via the ‘percentage of spend’ model, where the agency charges a percentage of your total click costs – typically between 10 and 20 per cent depending on your budget – back to you as a management fee. According to Search Engine Land, this is by far the most common method of PPC management fee billing. But is it time agencies and advertisers looked differently at how these costs are billed? How does this type of PPC management fee work? To understand the answer to that question, we first have to understand how the model works. The ‘percentage of spend’ fee is usually calculated on a sliding scale, depending on how much the advertiser or client is investing in their ad budget. It is typical to see a starting rate management fee equal to 20% of click costs being applied, which may be reduced for higher budgets. For example, a client with a £5,000 monthly PPC budget might expect to pay an additional £1,000 per month in management fees, while a client spending £30,000 per month on advertising may have their management fee discounted to something like 15% (£4,500) to reflect the higher budget. These arrangements are usually put in place between clients and agencies at the contract agreement stage. Increasing competition over the past few years has meant agencies are now more likely to be flexible with the management fees they charge higher spending clients, as they fight to win business not just ahead of other agencies but also to make outsourced management the preferred option over clients taking their PPC advertising in-house (which becomes increasingly attractive the higher management fees rise). The calculation of management fees in this way is a throwback to a time when PPC was still seen as an extension of traditional media buying services. Print and broadcast ad-booking agencies would typically charge their fees as a percentage of total media costs. When search engines emerged, it initially fell to media agencies to ‘book’ ad space on them, as they were seen and treated as any other publisher offering inventory for sale (this, by the way, is rooted in truth and is part of the reason why Google has become so powerful – it could be argued they are the biggest publisher on the planet, offering billions of pages of topic-specific inventory for sale, making them a compelling advertising option). Over time, however, the complexity of paid search management began to increase. Of course, calculating and charging management costs in this way assumes that there is always a directly proportional and constant relationship between the size of a media budget within an account and the time that is required to manage the spend. This oversimplifies things. It isn’t always the case that the biggest budgets automatically require the most granular level of management and it is frequently the case that smaller budgets demand higher levels of hands-on work as the scarcer funds have to work even harder to make things profitable for the advertiser. This is where the distinction between a commission fee and a management fee becomes important. With the latter, agencies are charging out their time and using the fee to plan the resource that can be profitably assigned to the account. Let’s imagine an example of a client with a £1,000 media budget and 20% management fee. If the agency’s hourly rate is, say, £80, the client’s £200 management fee would pay for two and a half hours spent managing and optimising the account every month. This is not very much time at all, especially if the client is working in a competitive space and budgets needs to be worked very carefully in order to return profitable results. This sort of situation is unfair to both clients and agencies. The former might not be getting the level of work they need to make their campaign a success, with the latter therefore drawn into over-servicing the account to bridge the gap. This is why many agencies, or at least those who are fully transparent about the way they charge, put in place minimum management fees, to ensure that clients are getting at least a worthwhile amount of service each month. But what about at the other end of the scale, where advertisers with very large budgets automatically find themselves paying the biggest management fees? 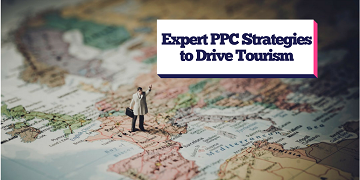 While there’s no doubting the sometimes vast amount of work that goes into running a big-spending PPC account, it doesn’t always necessarily follow that the amount of work is directly and constantly proportional to the total budget. Let’s say a client, whose usual monthly spend is £50,000, invests an additional £20,000 one month to grab clicks during a peak period or seasonal offer. If their agreed management fee is 10% it would rise in that month from £5,000 to £7,000, in theory giving the agency an additional 25 hours of management time to work with. While there is no doubt as to the extra work that would be required – creating time-specific ad groups and ad copy, tailoring strategies accordingly – the assignation of 25 hours to these tasks, just because that’s what the management fee percentage dictates, seems arbitrary. Finally, think of the client whose budget fluctuates throughout the year to account for seasonality. Their industry trends might dictate that they spend £15,000 per month during the middle of summer and £45,000 per month during the winter. Does it automatically follow that their management hours fluctuate from 37 to 112 respectively? Again, it feels kind of arbitrary. Perhaps a better solution would be for the industry to start looking more seriously at charging PPC management fees on a fixed fee, rather than percentage, basis, just like with other aspects of online marketing campaigns. Fully transparent, pre-agreed and static management fees could be a fairer system for both clients and agencies. The former would have a clear idea and expectations of how much time will be spent optimising and managing their account every month (moreover it could be averaged across the year to flatten out the influence of seasonality on fees), while agencies can plan their resources more efficiently. If agencies make the effort to properly outline exactly what they will be delivering for the client’s investment in their time – and demonstrate the benefits – there will also be a strengthening of the trust and understanding between parties, which invariably leads to more fruitful collaboration and better campaigns. What do you think? Is it time to look differently at PPC management fees? Let us know on Twitter by tweeting @theEword.